Park Street, Fenton. In the Lane Delph Area. The works gets its name from "Minerva" who in the Roman religion, was the goddess of handicrafts, the professions and the arts. Her shrine on the Aventine in Rome was a meeting place for guilds of craftsmen, including at one time dramatic poets and actors. "A works on the site of the present Minerva Works in Park Street was in existence in the early 1760's, owned by the Broade family and in the tenure of James Kent; the Broades were looking for a new tenant in 1764. In 1806 or 1807 it was taken over by Miles Mason (1752-1822), who moved there from the Victoria Works, Market Street (now King Street). His eldest son William (1785 - c.1855) worked with him until 1811 when he started to make earthenware at a works nearby, and when Miles retired in 1813 it was to his other two sons, George Miles (1789-1859) and Charles James (1791-1856), that the Minerva Works passed." Victoria History of the County of Stafford Vol VIII. In 1815 George Miles Mason & Charles James Mason moved to the works in what is now Victoria Place. 1833 Pratt, Hassall & Gerrard The Minerva Works was in the hands of Pratt, Hassall & Gerrard by 1827. 1833 1833 Hassall & Green c.1833 Richard Hassall was joined in partnership by Thomas Green (son of Thomas Green of the Churchyard Works, Burslem), shortly afterwards, in the same year, Hassell retired. 1834 1847 Green & Richards Green brought the works from Francis Brode in 1833 and in 1834 was joined in partnership by Mr. W. Richards of Great Fenton. In 1847 Richards withdrew from the partnership. 1847 1859 Thomas Green Thomas Green continued alone until his death in 1859. 1859 1876 M Green & Co In 1859 Thomas's widow, Margaret took over running the works (with her 4 sons). In 1863, she purchased the Minerva Works which, until that time, had been leased. T.A. & S. Green Following Margaret Green's death in 1876, two of her sons, Thomas Allen and Spencer, bought out their brothers and the company became T A & S Green. 1948 Crown Staffordshire Porcelain & Co. This company succeeded T.A. and S. Green at the Minerva Works, Park Street, Fenton, where good quality porcelains were produced. The business became a limited company in 1903. In the present century some very decorative floral encrusted porcelains were made, as were various figure, animal and bird models and miniature pieces. 1948 1985 The Crown Staffordshire China Co Ltd. With the growing demand for 'bone china' the company was renamed and began to produce only china. 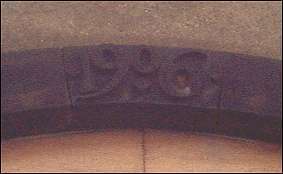 In 1965 the Green family's connection with the company ceased and the company became part of the Wedgwood Group in 1973. 1985 2000 Coalport In July 1967 the Wedgwood Group took over the pottery company of Coalport. Wedgwood moved the Coalport brand to the Minerva Works in 1985 and the name Crown Staffordshire ceased to be used. In 2000 Coalport moved to a purpose built unit at the Wedgwood factory in Barlaston. 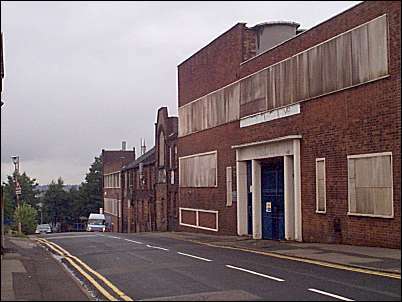 The Minerva Works was demolished in late 2001. In the 1840 report on child labour the works of Green & Richards was categorised as a class 2 works. In 1950 there were extensions on both the right and left sides. Jewitt's "Ceramic Art of Great Britain, 1800-1900". Godden, "Encyclopedia of British Pottery and Porcelain Marks"
Potteries Museum data sheet on Crown Staffordshire.